According to the U.S. Equipment Finance Market Study, “72% of firms used at least one form of financing (excluding credit card use). Companies with less than $1 million in revenues used financing in only 49% of their equipment acquisitions, while companies with revenues between $25 million and $100 million used financing in 86% of their acquisitions.” There are many reasons why businesses lease equipment. Equipment leasing makes it possible for companies of all sizes to conserve their cash and keep outflow and profits better aligned. As more businesses discover the benefits of equipment leasing, this option is becoming an increasingly popular alternative for acquiring necessary equipment. Equipment Funding. You are only charged for what you use, your only initial cash expenditure is the first and last rental payment. Banks often charge you a fee on your line of credit. Through equipment leasing, the new equipment, pays for itself as you use it through operational efficiencies. Financing. At Tiger Leasing, we do not require a down payment like banks often do. We have heard of some banks requiring as much as 20% to 30% down, which can eat away at your working capital. Additionally, with equipment financing, soft costs such as installation, initial set-up and computer software are generally included in the cost of the lease as well. Flexibility. Leases can be designed to meet your specific needs. Leasing business assets often facilitate add-ons, trade-ups and easier upgrades. At Tiger Leasing, we are also able to structure your payment plans and lease terms to fit your unique situation. Do you need 90 days to get the equipment up and running before your first payment is due? No problem! Outsmart Budget Limitations. If you're facing limited budgets that are threatening to delay or prevent the acquisition of the equipment your business needs, equipment leasing can help. Leasing allows for quick budget approval due to its small monthly expense. A lease can work with and around even the tightest budgets. Specialized Assistance. Reputable leasing companies work closely with equipment companies. At Tiger, we work together with our equipment vendors to determine what a client’s business needs to be profitable. Equipment leasing companies can also create individuated lease arrangements so that your business has time to get the equipment up and running. Options, Options, Options. At Tiger, we offer a variety of leasing options that banks cannot match such as: Lease purchase, operating lease, venture leases, deferred payment, seasonal payment, step up/step down and municipal lease. Are you interested in leasing? 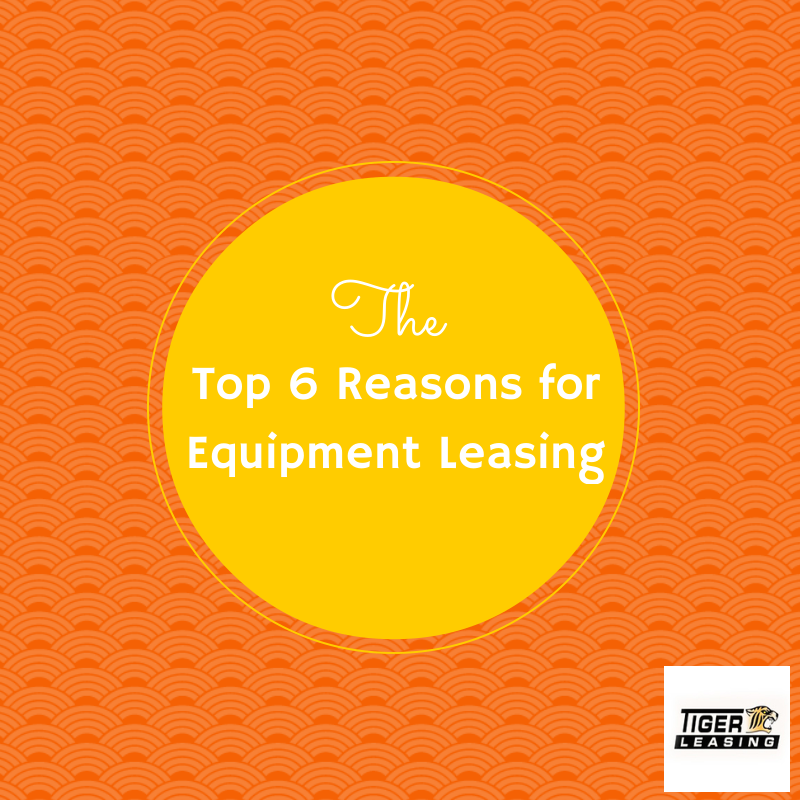 Contact Tiger Leasing now or apply online for your equipment lease today.